Point Baron? I cannot think of another possibility. Yet I can find to no reference to any such entity. There is a Baron Point Petroleum company, which seems likely. Yet why the reverse order. 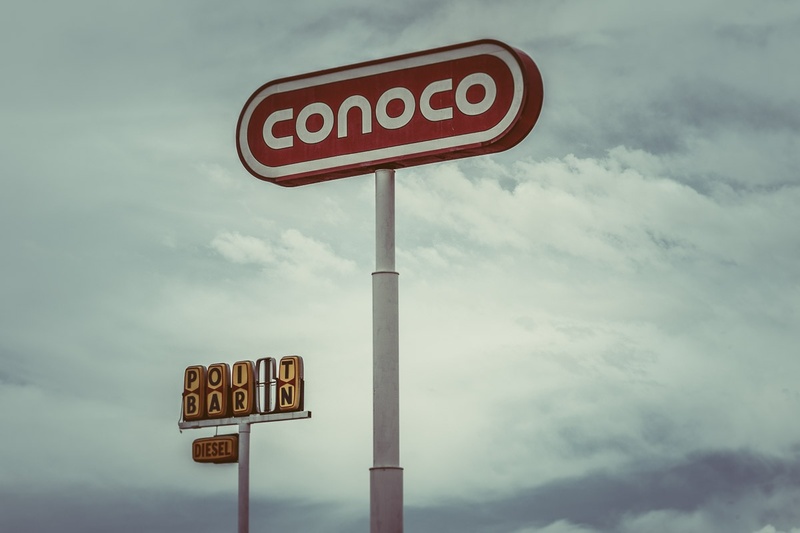 Meanwhile the giant Conoco sign hovering above engenders less interest due to the small mystery of its smaller neighbor. This is just an odd bit of Americana highway signage somewhere between Denver and Grand Teton National park and the nXnw 2016 trip to GTNP. I’m not even sure what state it is in.